Possibly one of the healthiest crossbreed dogs you can get, the German Shepherd Chow is a cross between a German Shepherd and a Chow Chow. Both of the parent breeds have minor health issues that can be passed down through genetics to the German Shepherd Chow. However, you can keep your pup healthy for the duration of her life with a nutritious diet, regular exercise, and routine vet check-ups. This dangerous condition can quickly become deadly if left untreated. If your German Shepherd Chow has a distended, swollen belly, acts lethargic and uncomfortable, can’t eat, or has difficulty breathing, take him to the vet immediately. Bloat occurs when there is too much gassy build-up in the stomach. Sometimes this condition requires a surgical procedure. Other times, vets can relieve gassy build-up with non-invasive methods. Glaucoma and cataracts run in both the German Shepherd and Chow Chow breeds. So, of course, this means the German Shepherd Chow is prone to these conditions as well. You should take your pup to the vet if you notice him acting disoriented, bumping into things, or acting snappy or aggressive. Most eye problems can be corrected with surgery and prescription medication. 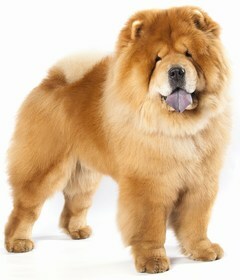 Skin allergies are common for Chow Chow breeds because they have sensitive skin under their big puffs of fur. Some allergen triggers may be grass, pollen, mites, or dust. There have even been a few cases where pet owners had to change their dog food brand because their German Shepherd Chow was allergic to an ingredient. If your dog breaks out in itchy, red spots, has runny, red-rimmed eyes, or acts uncomfortable when you pet him, check with your vet to rule out most allergies. Other minor health issues that your German Shepherd Chow might suffer from include joint dysplasia and red mange. Typically, the German Shepherd Chow lives a long life between 10-12 years. 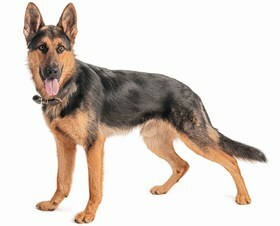 German Shepherds are known for their friendly, alert, loyal temperament. They make great guard dogs and night-time watch dogs. The Chow Chow, on the other hand, is bred for companionship and protection. So, the German Shepherd Chow naturally has both the positive traits, along with a few negatives, of both parent breeds. For example, most German Shepherd Chows are sweet and friendly to their owners, but they can be snappy towards small children and other animals. You have to be careful to train your German Shepherd Chow not to bite, otherwise, you might find yourself facing a bigger problem if she snaps at a child. Luckily, training her is relatively easy. She has the attention and the keen, eager-to-please attitude of a German Shepherd. But this could be hindered by her strong-willed Chow Chow genetics. To keep her attention focused on you during training, use praise, encouragement, and meaty treats to reward her obedience. If she does well, she gets a treat and a loving pat on the head. If she does poorly, simply keep trying with consistency, persistence, and conviction. 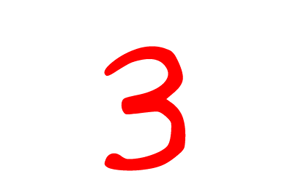 Use a clear, strong voice to issue commands, but never, ever be harsh or physically harmful. This would lead to negative, aggressive behavior. The Chow Chow is renowned for being an adorable fluffball, whereas, the German Shepherd has well-trimmed, silky hair of medium length. 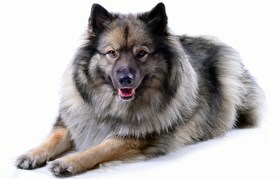 Your German Shepherd Chow could have a mixture of the parent breeds’ coats. Either way, you can expect her to shed, a lot. If she has German Shepherd hair, brush her three times a week to get rid of the excess hairs and minimize shedding. If she has Chow Chow hair, brush her at least once a day. Use a gentle dog shampoo to bathe your German Shepherd Chow once a month or take her to a professional groomer for a monthly spa treatment. This will include a bath, dry, brush, and trim. You can also request a nail trim. But opt to brush her teeth yourself, at least three times a week. To keep your German Shepherd Chow energized, happy, and healthy, feed him at least 4 cups of good-quality, wholesome dry kibble daily. Separate the 4 cups into two meals. This will keep your pup satisfied and full between meals, so no begging or whining for more food. You should invest in a hearty, wholesome dog food because your dog’s nutrition is a big deal to overall good health. Lean meats and whole grains are must-haves for a big dog, especially one as energetic, lively, and boisterous as the German Shepherd Chow. Keep treats to a minimum, but ensure they are also nutritional. Looking for a German Shepherd Chow? 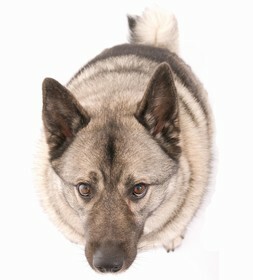 For some reason, the German Shepherd Chow is not a popular, in-demand crossbreed, so breeder prices are a bit lower than they would be for other crossbreed dogs. From a breeder, you can expect to pay $300-$750 for a German Shepherd Chow puppy. 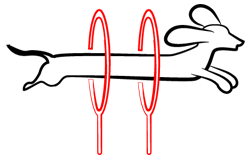 The range is so vast because every breeder is different in their inclusions, guarantees, and specifications. Find a breeder that you can trust before you invest in one of their pups. If you are looking to adopt, check your local shelters or ask around for a German Shepherd Chow. It might not be a puppy, but you could adopt a sweet, friendly crossbreed dog for around $200. Take a moment also to consider the cost of food, toys, vaccinations, vet visits, groomers, and professional training, if need be. Ranking takes into account a few basic factors including cost, skill level needed, high vs low maintenance and how critical regular training is to success. The German Shepherd Chow is a 3 on the Paws ‘N’ Pups scale because of the patience, determination, and confidence required to train her. She can be a very family-friendly pet, but she has to be taught right from wrong at an early age. This could be a drain on your mental and emotional state, but if you stick with it, you will have an easily integrated, sweet pet for your family.